September’s club meeting @ Smog City Brewery!!! This Thursday, September 15th at 7:30pm our Club Meeting will be held at Smog City Brewery!!! click here for taproom parking and beers on tap! 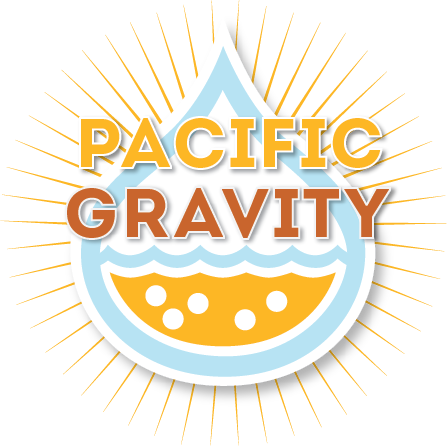 We will have a special section in the brewery for Pacific Gravity member to hang out and do everything we normally do at our club meeting. So Yes, bring your homebrew!! This months Style of the month is IPA’s, bring your homebrewed IPA’s for a chance to win a Smog City Gift Certificate with the best homebrewed IPA beer of the night vote. We will also have a commercial tasting of IPA’s hosted by Reuben S., plus all the offerings at Smog City will be available in the tap room, which we can head over to purchase as well and grab growler fills too. You never know, there could be something special from Porter as well at the meeting. Like in the Raffle, there will be some Smog City raffle prices like a Smog City Growler and growler fill. Plus we plan on having Smog City beers and other great prizes in the raffle. Think you won’t have time for Dinner? No worries, we are planning on doing some Grilling and a few of the Board Members are planning on whipping up some special toppings. We will be using the grill at Smog City and we are thinking of doing a bunch of great Sausages with all the fixings, plus some optional sides and alternatives. We will put out the donation bucket for the food that night, give what you can, but the suggested donation price is $5 cause we are blowing our food budget! Also feel free to bring other food or sides if you feel so inclined? So Remember, what to bring: Homebrew, IPA’s, Smog City Grolwer’s if you want to fill them at the brewery, Money for the Raffle and Dinner, your appetite and a thirst for some great beers!! Plus Michael Patterson should be on hand with more Off Flavor Demonstration’s and we will have some limited PG merch for sale too. Also Please use: Uber, Lift , or the cabs to get and/or leave the brewery in a safe way. Please be responsible and carpool if you can! Cant wait to see you all there, this will be one amazingly fun club meeting thanks to Porter and everyone at Smog City! http://pacificgravity.com/wp-content/uploads/2015/01/SmogCityLogo.png 400 400 lloyd http://pacificgravity.com/wp-content/uploads/2015/01/pg_logo.png lloyd2016-09-12 15:16:232016-09-12 15:16:23September's club meeting @ Smog City Brewery!! !